Johanna S. Ransmeier is Assistant Professor of History and the College at the University of Chicago. Harvard University Press: A robust trade in human lives thrived throughout North China during the late Qing and Republican periods. Whether to acquire servants, slaves, concubines, or children―or dispose of unwanted household members―families at all levels of society addressed various domestic needs by participating in this market. Sold People brings into focus the complicit dynamic of human trafficking, including the social and legal networks that sustained it. Johanna Ransmeier reveals the extent to which the structure of the Chinese family not only influenced but encouraged the buying and selling of men, women, and children. 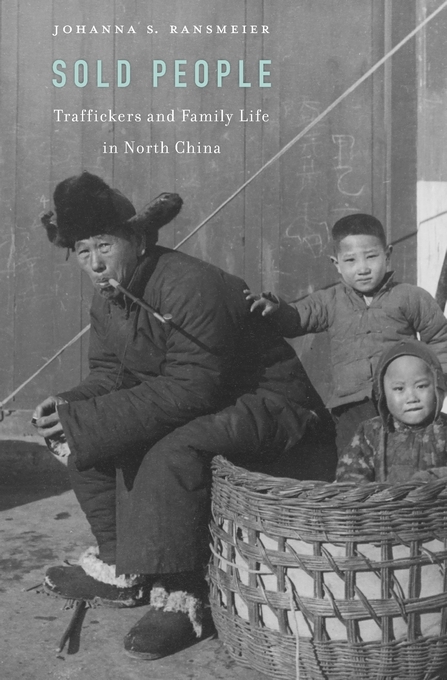 For centuries, human trafficking had an ambiguous status in Chinese society. Prohibited in principle during the Qing period, it was nevertheless widely accepted as part of family life, despite the frequent involvement of criminals. In 1910, Qing reformers, hoping to usher China into the community of modern nations, officially abolished the trade. But police and other judicial officials found the new law extremely difficult to enforce. Industrialization, urbanization, and the development of modern transportation systems created a breeding ground for continued commerce in people. The Republican government that came to power after the 1911 revolution similarly struggled to root out the entrenched practice. Ransmeier draws from untapped archival sources to recreate the lived experience of human trafficking in turn-of-the-century North China. Not always a measure of last resort reserved for times of extreme hardship, the sale of people was a commonplace transaction that built and restructured families as often as it broke them apart.